The forum, hosted within the framework of French Prime Minister Édouard Philippe’s visit to Vietnam, brings chances for businesses from the two sides to learn about investment opportunities in Vietnam as well as France. Mr. Henri Charles Claude, chairman of CCIFV, said that Vietnam’s efforts in administrative reform and investment environment improvement have created a transparent and attractive mechanism to foreign investors. According to the Ministry of Planning and Investment, there are 2,458 FDI projects licensed as of October this year with registered capital totaling US$15.028 billion. Currently, 72 nations and territories have projects newly licensed in Vietnam. Japan is the largest investor with the total capital of over $5.89 billion accounting for 39.2 percent of registered funds. It is followed by South Korea, Singapore, Thailand and China. French firms have been present in Vietnam for over 20 years but their presence has not been clear. Delegates at the forum said that there are three potential fields which French firms need to calculate investment including infrastructure, information technology and consumer market. In infrastructure field, Vietnam has thousands of export processing zones, industrial parks and urban areas but few businesses have invested in waste collection and treatment facilities. In addition, Vietnam is one of ten nations predicted to be worst affected by climate change. Hence, infrastructure projects on anti-flooding and renewable energy will be necessary in the upcoming time. 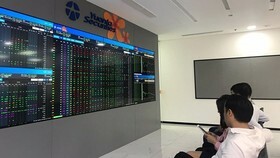 The Vietnamese Government is heading toward digital economy. 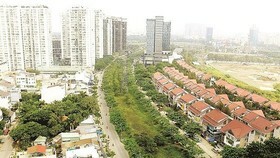 Smart cities projects have been implemented in HCMC, Binh Duong and Da Nang. Asides from that, Vietnamese businesses have applied digital production models. 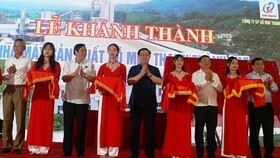 Mr. Truong Gia Binh, chairman of FPT Group, said that the IT industry has maintained the growth rate of 16 percent a year. Software making industry is expected to keep the growth rate of 25 percent a year in the next three years. Currently, Vietnam has 78,000 IT engineers, 300 universities training 55,000 students in the field. They are expected to train one million IT students by 2020. 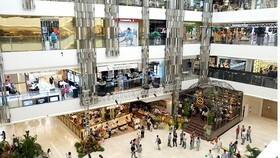 Retail market scale reached $130 billion last year. The number is expected to quickly increase to hit $280 billion in the next seven years. E-commerce now accounts for 2 percent of the retail market scale, the ratio is predicted to reach 7.7 percent in the next seven years. Representative of French Andros Group said that consumer product especially health and beauty products will have advantages in Vietnamese market. Mr. Francois Corbin, chairman of the French Business Confederation (MEDEF), said there have been 13 delegations of French businesses coming to learn about investment and development environment in Vietnam this year. Vietnam has signed lot of bilateral and multilateral free trade agreements (FTA) with many countries in the world. 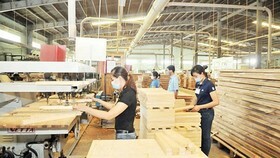 That has not only opened opportunities for Vietnamese but also foreign firms to invest in the country. There are lot of forms for French businesses to speed up investment in Vietnam such as foreign direct investment, joint ventures with domestic companies, merger and acquisition and franchise. 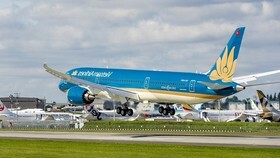 Some Vietnamese businesses have well developed such as Thaco Truong Hai, Vingroup, Vietjet Air and Viettel. 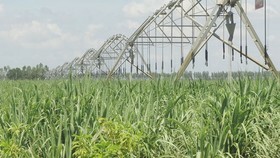 In addition, there are some state own enterprises who have been equitized quickly such as Vinamilk and Sabeco. 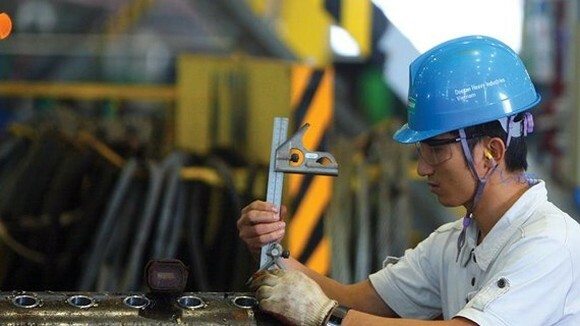 These enterprises have not only taken advantage of domestic resources but also focused on mobilizing foreign financial sources to strongly develop domestic and foreign market share. One of difficulties is that Vietnam-EU free trade agreement has not been approved. Tariffs on goods imported from the EU to Vietnam have been high and that has heavily affected the competitive ability of European companies in the Vietnamese market. In addition, operations to fight intellectual property right violations and counterfeits have been ineffective. Mr. Gérald Darmanin, Minister of Public Action and Accounts, said that France will effort to soon pass the Vietnam-EU FTA. At the forum, many Vietnamese and French firms have signed investment memorandum of cooperation in renewable energy, infrastructure and information technology fields.